ON THE ROAD...ON THE TRAIL...AND CAMPING CONVENIENCE TOO. 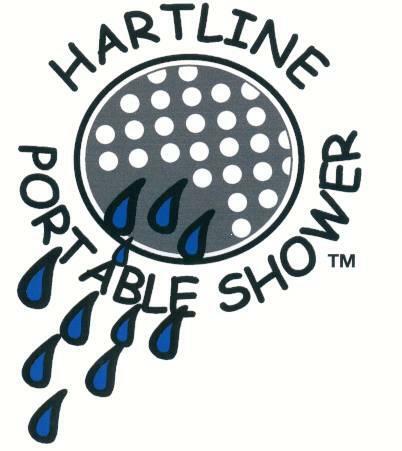 The Hartline Portable Shower provides you with the enjoyment of a warm shower in the comfort and privacy of your truck cab, camper trailer, or anywhere with a cigarette lighter plug! 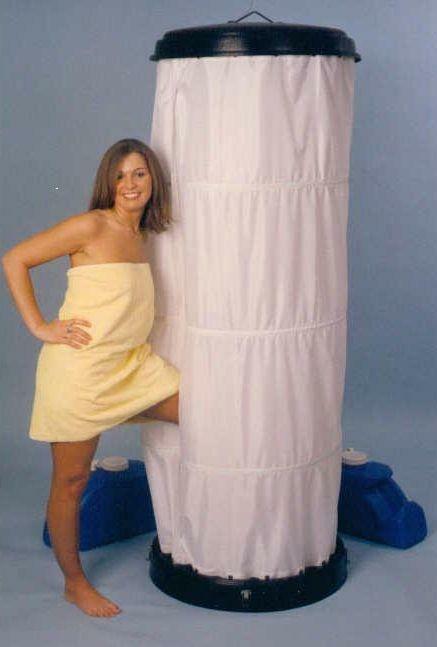 -Expands from 0" up to 6'9"
IT CAN PAY FOR ITSELF IN 4 WEEKS! If a driver takes 4 showers a week at a truck stop, each stop with fueling & parking takes about 2 hours. Not only is it a hassle, but it costs money every time, both for the shower and time off the road. WE'RE BACK! And better than ever. And for a limited time, you can get our OLD price of only $465 plus shipping- that's a $100 savings off the price ($565 plus shipping). Buy now! This promotion ends July 1st!